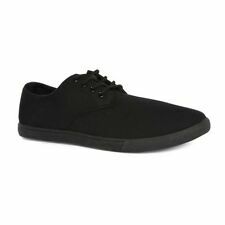 Brasher Lightweight unisex walking shoes. With the added benefit of Vibram soles, perfect for a wide range of terrains. These limited edition shoes feature striking two tone, black and rust red nubuck uppers with taupe textile trims. The Stan Smith is an iconic silhouette which first stepped on tennis courts in the seventies. The out-sole of the Stan Smith Adicolor is translucent rubber for durability, coordinating with the bright scarlet colour-way. Designed for complete comfort and style these trainers are the perfect choice. Get Yours Now! Excellent Service. Rahmah's Kicks. A nice pair of pre-owned Black Prada Trainers. Loads of life still left in them. They are in good condition but do have a couple of scrapes. ADIDAS ORIGINALS ZX 750 MENS TRAINERS SIZE UK 8 GREY/RED RRP £90.00. Condition is New with box. Adidas Yeezy Boost 350 V2 Men's Trainers Shoes, Size 10.5 UK - Sesame. Condition is as New with box. Dispatched with Royal Mail 1st Class. Bought them last year but my left foot is slightly bigger and pinches when I wear them, they have been worn maybe 6 times and for no longer than 2 hours in total I am only selling to replace them with an 11. Any questions please ask. Nike Mens Flex Trainers Size 8 Grey. Used but still in great condition. Dispatched with Royal Mail 2nd Class. Grey and white Nike design. Message me for more details. Size UK 8 (EU 42). A running and trail trainer designed to ensure superior comfort. Laser cut one piece knit upper provides stretch and support in targeted areas. Laser cut one piece knit upper for stretch and support in targeted areas.